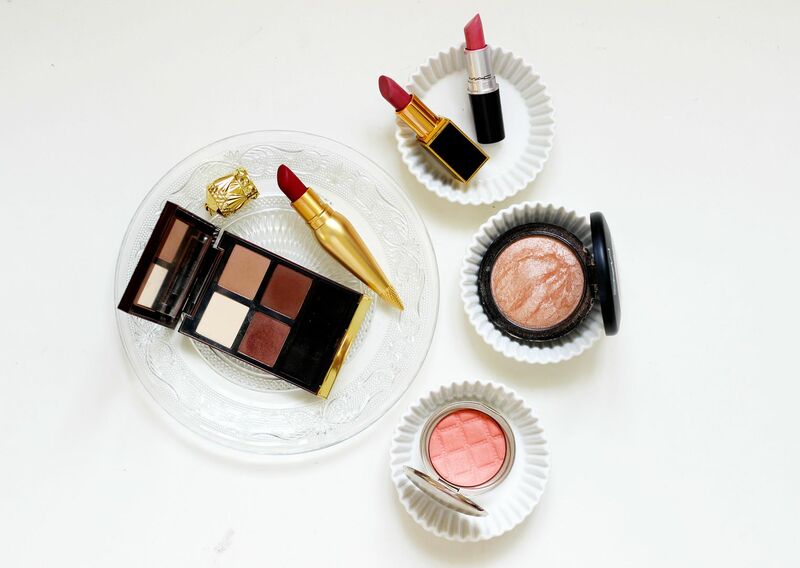 When it comes to makeup, there are definitely different leagues – there’s the everyday, the hard-working products and then the products that always make you feel that little bit more special… The big guns, as it were. When I want my eyes to look expensive, I reach for the Tom Ford cocoa mirage eyeshadow quad because nothing else quite comes close to this little beauty. If you like warm (but not orange) neutral brown shadows on your eyes – and who doesn’t – then this is a game-changer. Not the most exciting to look at but with an impeccable formula, this palette is one that will get so much use. Lipstick, wise I have many, many, many options… I like variety. Ones that always make me feel pulled together in a flash include MAC pink plaid (the best pink ever), Tom Ford Pussycat (grown-up mauve perfection) and Christian Louboutin Survivita (pinky red lushness). In terms of blusher, you can’t do much better than the By Terry blush in platonic blonde – so so nice, and one that I always reach for if I want to look my best. Gorgeous! My first foray into highlighter many years ago was MAC soft and gentle, and it’s still one I go back to time and time again when I know it will never fail me. Do you have all time cherished products?